It’s been said that if you give a man a fish, you have fed him for today. Teach a man to fish, and you have fed him for a lifetime. Having someone else develop your résumé for you is the equivalent of them giving you a fish for the day, and if that’s good enough for you today, fine. But what about tomorrow, and the day after that? What you really want is to be fed for a lifetime by being able to write your own cover letters and résumés, and develop first-rate interview skills for whatever job or career change you find yourself in today and in the future. 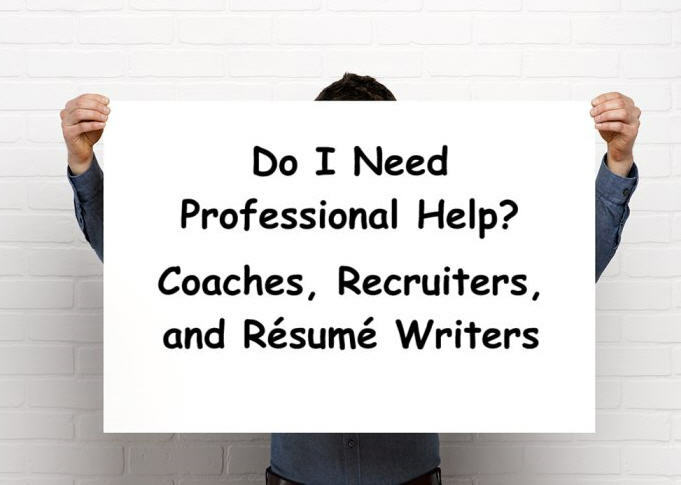 You might need some help, but you should be responsible for writing—and rewriting—that résumé and cover letter. I don’t “typically” rewrite cover letters or résumés for career strategy clients because I don’t know their expertise anywhere close to their own knowledge of it. (I say, “typically,” because if a client really has no clue and they specifically request that I provide a rewrite, I will.) I do, however, suggest changes to résumés and cover letters that get clients out of the “I, me, my, mine” context approach, and encourage them to rethink their skills, knowledge, experience, and expertise in a manner that takes more of a consultant’s approach to solving other people’s problems. That means promoting how your expertise provides future benefits to the hiring manager. No one but you knows the extent of the skill, the breadth of experience, the depth of knowledge, the decision making, the problem solving that goes behind every bulleted item on your résumé, and no one can express it better than you because you lived it. You can learn how to best express it in meaningful terms that address the needs of a hiring manager. That skill feeds you for a lifetime, and that’s what I teach in my books, seminars, personal consults (for subscribing organizations), and in 2016, online videos and workbooks. In my May 2013 post on “Coaching” I related a story about participating in a panel discussion at a national conference with an HR representative, an executive coach, two professional recruiters, and a certified life coach. We were asked to answer a variety of questions about the job market, résumés, cover letters, interviews, job and career strategies, and so on. But that experience revealed that not all career professionals are created equal. Refer to that post for the details. Some companies use recruiters to screen résumés from applicants while others may use HR personnel (or internal recruiting subcontractors) for the task. Throughout most of my experience, hiring managers provide HR or a recruiter with the necessary requirements and prerequisites for the available position based on the overall team need. When working with HR, they establish a competitive compensation package to start with. HR or the recruiter forwards to the hiring manager’s attention only those résumés that meet the job criteria. This approach streamlines the process for everyone involved and is an efficient way to determine which candidates deserve additional evaluation. Given that, Ladders.com reports that the average recruiter (not the hiring manager) spends six seconds scanning a résumé, looking at the candidate’s name, current and past titles, start and end dates of positions, employers and education. Hiring managers when first scrutinizing résumés spend about 10 seconds on the upper 2/3 of Page One. When recruiters are involved in the hiring process, résumés of people who meet the specific criteria as set by the hiring manager are forwarded on to the hiring manager for further evaluation. While the use of recruiters can expedite that aspect of the hiring process, the organization must respond with expedited offers to qualified candidates to realize efficiencies and effectiveness. I’ve had many great candidates who were first vetted by recruiters become lost to competitors because the organization was slow to respond with a job offer, and any perceived cost savings associated with recruiters in the hiring process went out the window. Using recruiters works for some and some folks steer clear of recruiters for many reasons. Just be sure you understand how the process works, and remember that the person who knows your career expertise best is you. In my 25-plus years in different hiring manager positions for Fortune 500 companies, I have identified three variables that are of paramount importance for developing a successful career strategy or receiving a job offer: (1) How well your value (the benefits of your expertise, accomplishments) addresses the hiring manager’s issues and needs, and (2) the strength of the continuum of belief (those elements of value you provide) you establish with the hiring manager as you proceed through the entire hiring process; and (3) your value proposition, which is simply a promise of value to be delivered to a specific audience. These three variables work together to help create and promote your professional brand. Communicating your value to hiring managers is first conveyed in a cover letter. You have less than 7 seconds to get that hiring manager’s attention and you must get to the point immediately in your first sentence. What gets the attention of hiring managers most are the future benefits of your expertise, not the features of your past experience. In other words, your cover letter must have a tone that says, “here’s what I can do for you going forward,” and not simply a summary of your résumé. The purpose of the cover letter is to get the hiring manager to look at your résumé, so “sell the sizzle” of your expertise there. A résumé that communicates your value to hiring managers is one that focuses on accomplishments and achievements more so than duties, responsibilities, and task completions – because everyone has duties and responsibilities. A résumé full of “duties and responsibilities” conveys your status to a hiring manager as just another potential employee looking for a job. Hiring managers want to bring on board problem solvers and experts with a track record of accomplishment. You can’t just say “I have a proven track record” in your cover letter and then not have any accomplishments (preferably quantified accomplishments) to back up that statement. Hiring managers always look for the evidence on your résumé. And a reminder: completing a task associated with a duty or responsibility is NOT an accomplishment, yet I see this error all the time with many of my career strategy clients. Becoming the hiring manager’s candidate of choice requires a basic understanding of an important marketing principle: Value is what connects the person with a need (the hiring manager) to the person who can fulfill that need (you, the candidate). It’s the same whether you are selling vacuum cleaners, cars, or your professional expertise. 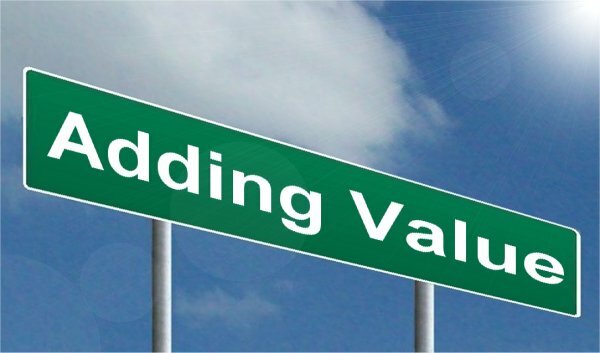 Doesn’t matter to the person buying a new vacuum cleaner or a new car how many vacuum cleaners or cars you sold in the past; what counts is can you address the cleaning requirements, transportation needs, or other issues of that person going forward – whether that’ s a customer or a sales manager. If the person with the need perceives and believes that you offer real value, you have fulfilled that need and can make the sale—or receive the job offer. 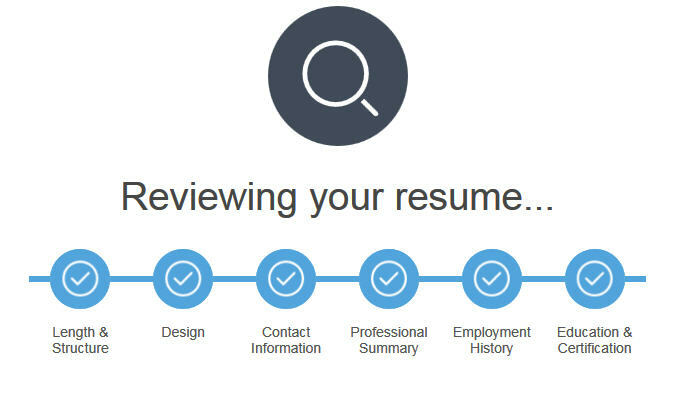 The Ladders has made a great step forward for job seekers by creating the automated Résumé Review tool (located here: http://tinyurl.com/nul9hc9). As the above figure shows, the sections evaluated are : Length and Structure; Design; Contact Information; Professional Summary; Employment History; Education and Certification. Areas that pass the review are highlighted with a green icon while areas that should be augmented are highlighted with a red icon. Click on the appropriate icons and you get more information on what was good and what additional information may be necessary. Of course, the suggestions are based on the criteria defined by The Ladders. The tool also assesses where you are in your career based on information (job titles, job description) on your résumé. I uploaded the last résumé I used for a contracting position, and was surprised to find that the tool underestimated my experience level and management experience. The tool also suggested that I add quantitative information to some accomplishments (my résumé has always included that information when that data was available); however, some bulleted accomplishments don’t easily lend themselves to quantitative value or the data simply is not available. The tool also suggested that I add “at least 4” bullets to the older (>12 years) positions but then it also suggested I shorten the length of my résumé (which was just over 2 pages in length). 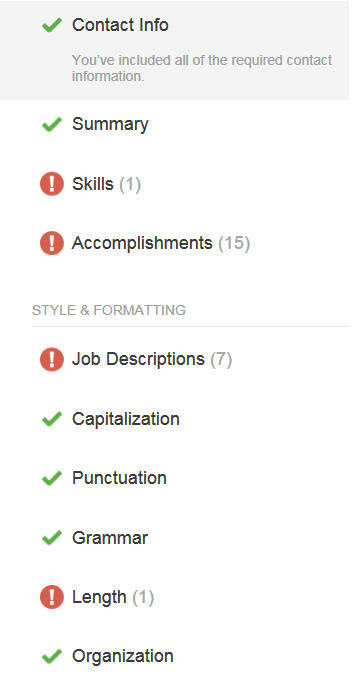 If I added 4 bullet list items to the older positions (and former professions that had no bearing on my current profession), my résumé would have easily exceeded 3 pages in length. There’s just no need to list that much information for older positions. The tool doesn’t check for publications to your credit, foreign language abilities, patents or trademarks, and doesn’t seem to be able to differentiate reverse-chronological formats from functional or combination formats. For these reasons (and others I have written about in Strategic Career Engagement: The Definitive Guide for Getting Hired and Promoted and Confessions of a Hiring Manager Rev. 2.0 (Second Edition)), your particular résumé must address your unique expertise and value-add to get on the hiring manager’s short list. It’s impossible for any automated tool to be a “one size fits all” solution. However, I have to give The Ladders Résumé Review tool a “thumbs up” as a good tool for ensuring that résumés contain the fundamental information hiring managers are looking for. Jobr. When a job is posted and a member refers a friend who lands the job, Jobr pays the member a $1,000 referral fee. Savvy. Previously called “Poacht,” Savvy focuses on female job seekers. Users create profiles that include salary expectations, and employers sort through those profiles anonymously.